Europlanters are proud to have been involved in what is being called the largest area of urban redevelopment in Europe, one of central London’s most significant improvements and rejuvenation projects. The Glass Reinforced Plastic (GRP) sections were made in RAL 7037 with a matt finish to match powder coated metal around the building and to contrast with the wooden seats and decking. After being manufactured in the factory in Cheshire, the sections were taken up to the roof top in stages and used to build eleven huge planters ranging from 6000mm/900mm/600mmH to 10500mm/5000/400mmH in size. The bespoke drainage system was then fitted on site. 160 tonne bags of compost and 44 bulk bags of hydroleca were craned up to the top of the 11 storey high building along with over 1800 plants and 42 trees. The troughs were then planted up by a team of landscape experts from Willerby Landscapes using a wide variety of plants which included fruits ranging from strawberry plants to pleached apple trees whilst 60m2 turf was used to lay a raised lawn within one of the planters. Office staff who will be working in this prominent building will be able to enjoy the benefits of the wonderful communal roof top and terrace. 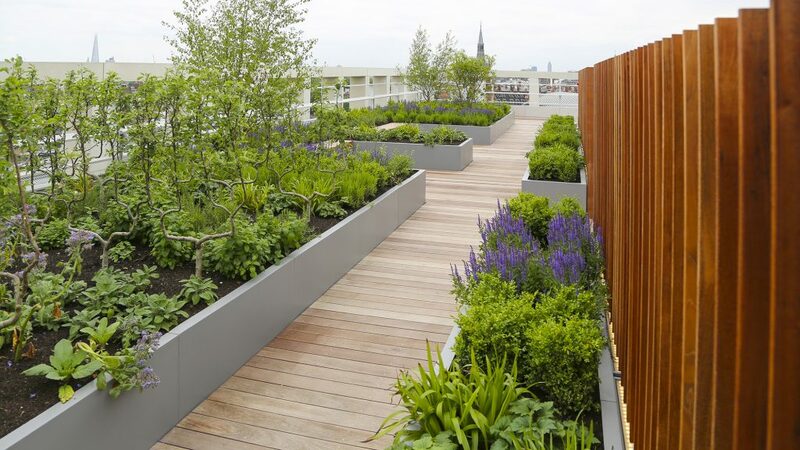 They will be able to relax during their breaks and view the skyline across London city whilst sitting amongst the planting scheme of raised flower beds and the contrasting landscape that surrounds them. 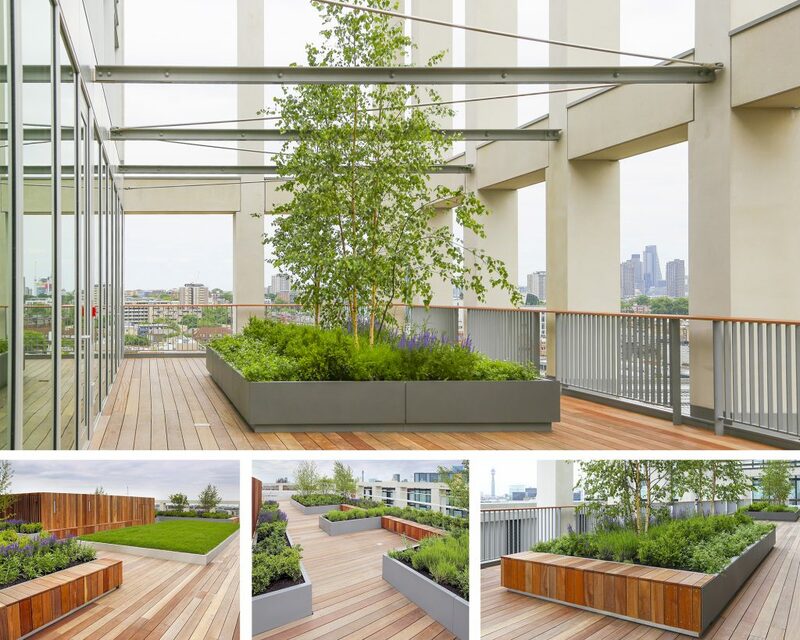 Contracted by BAM construction and working alongside Willerby Landscapes, Europlanters took GRP to a higher level using their planters for a roof top on part of a £170m development within the 67 acre estate of the Argent Kings Cross project. 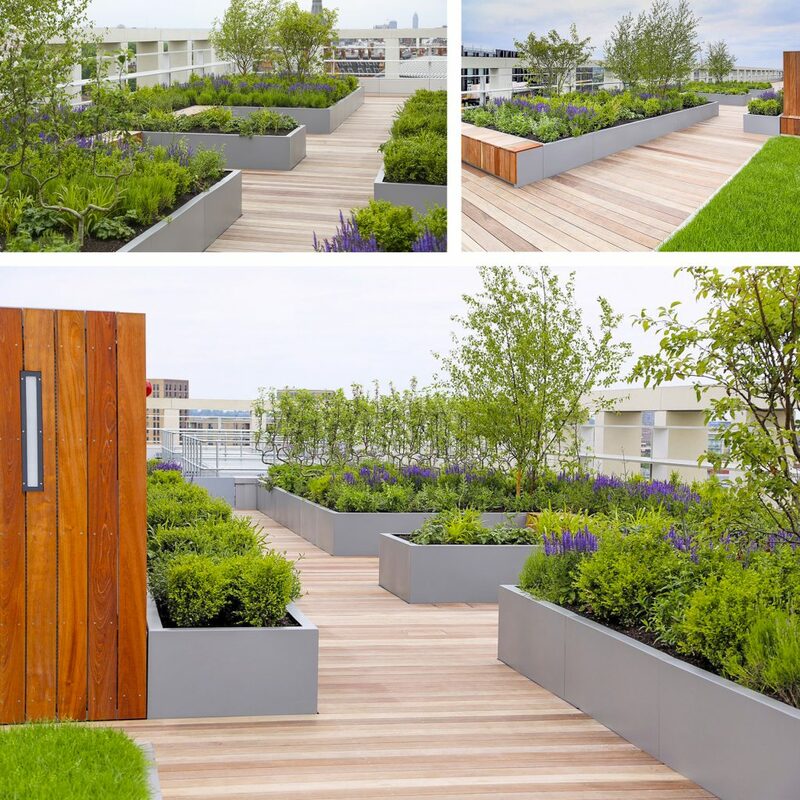 The roof top project comprised of two outdoor terraces on levels 8 and 11 of a prestigious building which will be used for offices and took only 10 weeks for British manufacturers, Europlanters to complete. This included the conception of six different moulds to the installation of 132 separate sections.